and turn my car off, of course then i would have to be QRP. please your thoughts. I used to do somthing similar. 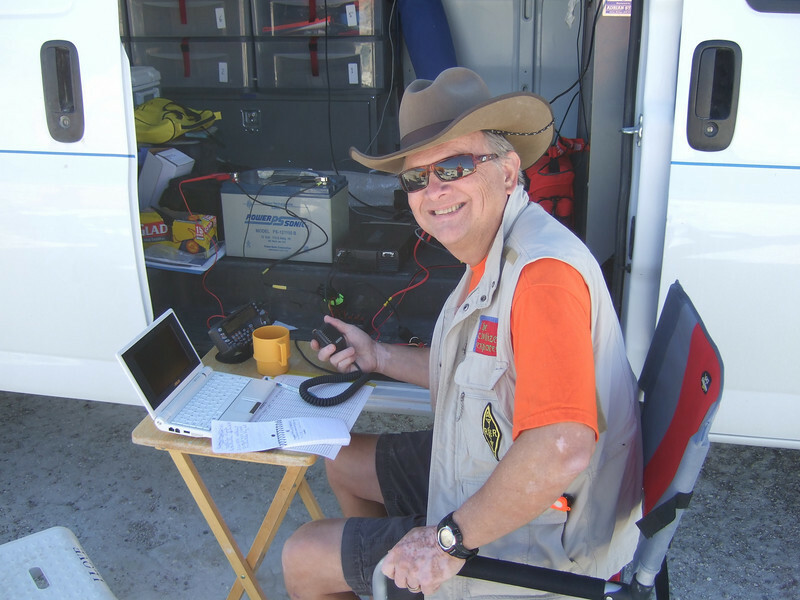 I operated my IC-706MKIIG from my car during lunch before I retired. The problem is that the car battery sags pretty quickly to about 12V, and then if you have just a bit of drop in the DC cable the voltage at the radio can be 11.5V or lower. This can be a problem with some radios (poor linearity, or turning off). But I just didn't like running my car for an hour just so I could operate. So I bought a MFJ-4416 battery booster which took care of the problem. jumpers that you can use to change bands. more, but it takes practice. And if you are on the beach, use vertical polarization for good DX. It may be "expensive", but what about a solar panel to keep the car battery or independent battery charged? You would also need a charge controller for the solar panel. My home set-up is a gel-cell with a solar panel. I think maybe you could compromise your power a bit, somewhere between full and QRP if you wanted to. An antenna in the trees would be pretty efficient, so lower power would still be effective. What you could do is measure to see what your drop is over a given period of time at a particular power level. For instance, if you turned the power down to 50W instead of 100W the current draw is half, but it's only a 1/2 S-unit drop in signal. I would guess you wouldn't have to go all the way down to 5W before you found a setting where your static battery voltage dropped too far. Our van is set up for mobile operation with a Tarheel antenna mounted in the back, and we bring a battery and run off that when we're camping. The van is directional: with the antenna in the back, it's directional along the ground plane toward the front of the van. I have done the same and even a small automobile battery has run a 100 watt radio for two hours with no problem (and still start the automobile). Given a transmit duty cycle of 50% (CW) for 30 minutes of every 120 minutes - with a peak additional transmit current draw of 20 amps - the transmit charge removed from the battery is only 2.5 amp-hours. Add to this a quiescent transceiver draw of 2 amps and the battery must supply 4.5 amp-hours of charge for 2 hours of operation. If the voltage drops too low (for the transceiver) with the engine off, switch it on. if your car battery can't handle an hour of QRP activity you need to replace it. I might be wrong, but I don't think a car-mounted solar panel would provide enough power to keep the battery charged for an hour or two of operation at 50W or more output power. If you just mean to use the solar panel to trickle-charge the battery when it's not in use, so it is fully recharged the next time he tries to start the car, that might work if it's not a cloudy day, perhaps. But, presumably, after he finishes talking at the park, he's going to want to start the car and drive back to work/home/wherever, and the car alternator will recharge the battery *anyhow* while he's driving, so what's the point of the solar panel again?